We design and install TV reception systems (terrestrial and/or satellite) and cater for any type of building from residential properties through to hotels, public buildings, communal properties such as tower blocks etc. 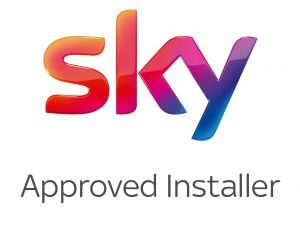 A job may simply involve fitting a TV aerial to a single house, through to installing a multi-room Sky Q system in a large residence. We can provide bespoke integrated reception systems (IRS) and our policy is to liaise with you throughout the project. For example, during the planning stage, which may involve a site survey, we ensure that all technical requirements are agreed, including the selection of equipment. Planning and allocation of resources to suit your time frame for on-site activity. Preparation of a detailed risk assessment and method statement. First fix – installing the receiving equipment, e.g. communal satellite dish, distribution equipment and cabling. Second fix – fitting connection points and equipment, e.g. TV/satellite point in each apartment, in a communal residential property. System commissioning and customer sign-off. We also provide a maintenance service – both scheduled and responsive, to ensure the on-going optimum performance of your system. Being a member of the Confederation of Aerial Installers (CAI), all installation work is undertaken by qualified and skilled engineers in accordance with the CAI code of practice. 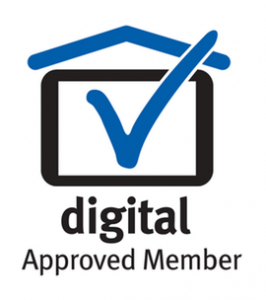 We are a Sky registered installer and a member of the Registered Digital Installer (RDI) body.